GARDEN CITY, N.Y. – Your cars have evolved over the last century but no improvement has saved more lives than the seat belt. With statistics in hand, the Department of Transportation has launched advertised, launched huge public relations campaigns and in most states, introduced legislation to convince Americans to buckle-up. 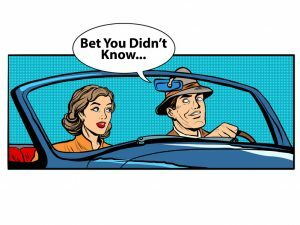 Even though we all know how important it is to use a seat belt, a whopping 11.5 percent of the nation’s drivers and passengers don’t click-it. That adds up to nearly 25 million people who ignore the DOT’s warnings, and the law. A Long Island car accident lawyer at Cellino & Barnes says there are no excuses anymore. Consumer Reports recently polled readers on their seat belt usage and found that many of those who don’t wear seat belts grew up without having to wear them. These ‘baby boomers’ also watched their parents driving around without a seat belt for the majority of their lives. Seat belts have been standard safety features in all cars since 1968, according to the National Highway Traffic Safety Administration. It’s taken decades to get to where we are today with seat belt usage. Nearly 90 percent of the drivers and passengers on the road buckle-up but safety advocates say it’s still not good enough. The odds are simply not in your favor if you don’t buckle-up. Statistics show that a driver or passenger is twice as likely to die in a crash if they aren’t wearing a lap/shoulder seat belt. Still, only 49 states require it. New Hampshire is the only state in the nation that doesn’t require seat belts to be worn in the front seats, although drivers and passengers under 18 are required to buckle-up. “It doesn’t make sense, physically or financially to ignore seat belts,” Cellino said. According to a 2010 study conducted by the NHTSA, car crashes cost the nation a whopping $242 billion. When pain and suffering is included, the bill reaches nearly $1 trillion. Seat belts directly saved over 12,000 lives last year and prevented over 300,000 serious injuries. When seat belts are used, they can save more than $50 billion in medical care and other costs while passengers who aren’t buckled-up cost America over $10 billion. Although drivers are required by law to use a safety belt, usage varies by state. 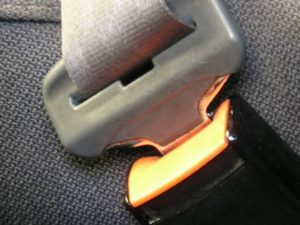 The NHTSA found that nearly everyone buckles-up in states like Oregon and Georgia, where 98 percent and 97 percent of drivers use them, respectively. Other states like Montana and Arkansas have lower percentages; around 74 percent of drivers wear belts in those states. South Dakota remains the worst state for seat belt violators. Only 69 percent of South Dakotans report wearing seat belts. The Long Island car accident lawyers at Cellino & Barnes urge everyone to buckle-up in every car or truck. As proud supporters of the Long Island community, Cellino & Barnes hopes to make the roads a safer place for everyone. For more information on seat belts and other safety initiatives, follow Cellino & Barnes on Twitter. BUFFALO, N.Y. – Face it, cars were designed for drivers. Yes, most seats are equipped with seat belts and air bags to protect everyone in the car but, as the Insurance Institute for Highway Safety discovered, passengers aren’t always protected. The IIHS is known for conducting and rating vehicles for their performances in crash tests. Most of these tests strap a dummy in the driver’s seat but recently, the Institute questioned how safe vehicles were for passengers. 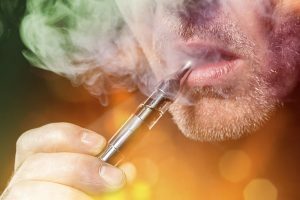 Not too safe at all, researchers found. A Buffalo car accident attorney at Cellino & Barnes says passengers run a high risk of injury in car crashes and there’s little they can do to prevent one. The Institute sent seven small SUVs on a collision course at 40 miles per hour. Each of the vehicles had ‘good’ ratings when they crashed into a barrier on the driver-side but passenger-side impacts told a different story. Of the seven vehicles, only one scored a ‘good’ rating: the 2016 Hyundai Tucson. The remaining six SUVs ranged between ‘poor’ to ‘acceptable’ grades. 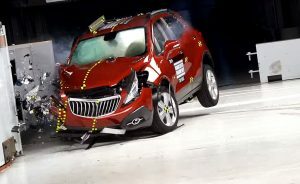 The findings were so unexpected that the IIHS is considering making passenger-side crash tests standard criteria as part of its TOP SAFETY PICK selection. The Buffalo car accident lawyers at Cellino & Barnes have helped thousands of passengers recover the maximum compensation available after a crash. If you’ve been injured in a car crash, Barnes says passengers are most often innocent parties and you may be entitled to significant compensation. Here’s more information on the IIHS small-overlap crash tests and the full ratings of the vehicles tested. ROCHESTER, N.Y. – It’s been hammered into your brain: using your phone while driving is a very dangerous (and usually illegal) activity. We’ve been telling drivers this for years – and for good reason; more than 1.5 million car crashes are caused by drivers attempting to multi-task with a phone. Texting while driving is 6x more likely to cause a crash than driving drunk. Despite these statistics, at least one other activity is considered more dangerous. According to data from the National Highway Traffic Safety Administration (NHTSA), more than half of the nation’s recorded distracted driving crashes involved drivers having a conversation with passengers. A Rochester car accident attorney at Cellino & Barnes says all distractions can have dangerous consequences but most drivers don’t even realize they’re being distracted by their buddy next to them. Conversations with passengers are behind a stunning 57-percent of distracted crashes. Phone use is only associated with 12-percent of crashes. Many more crashes have multiple factors, adding to the potentially disastrous equation. In fact, interacting with passengers is the most common activity in the car, aside from the actual operation of the vehicle. The Insurance Institute for Highway Safety (IIHS) discovered that most drivers ‘overcompensate’ when using a phone. According to its research, some drivers will only text while sitting in traffic or at red lights; and phone users drive an average of 5 to 6 miles per hour slower. Drivers rarely slow down when they’re talking to a passenger. In most cases, drivers go faster when they’re angry or experiencing heightened frustrations. Beyond talking to a friend or using a phone, drivers are wrapped-up in distractions. Most of the time, drivers aren’t distracted by anything in particular but they can be considered ‘distracted.’ They’re constantly thinking, day dreaming or just losing focus. It’s a lot easier to get distracted than most drivers think – and they often blame the wrong things. If you’ve been injured in a car crash, the other driver may have been distracted. The Rochester car accident attorneys at Cellino & Barnes will investigate a car crash to the fullest extent to help clients obtain the best results possible. Contact our car accident lawyers today for a free consulation. MELVILLE, N.Y. –School is out and the road conditions are clear. It’s the perfect time to learn how to drive but each summer teens are behind dangerous car crashes, and they continue to be the most at-risk age group. According to the U.S. Centers for Disease Control and Prevention, nearly a thousand teens are killed in car crashes during June, July, and August alone. Statistically speaking, it makes summer the riskiest season for driving. 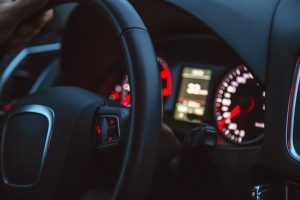 A Long Island car accident attorney at Cellino & Barnes says getting a driver’s license is an exciting time for teens but safety cannot be ignored. Those under the age of 24 represent just 14-percent of the driver population but they’re responsible for almost a third of all the costs associated with car crash injuries. 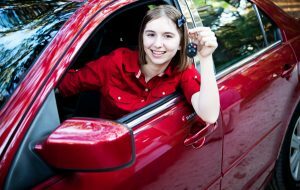 WalletHub, a personal finance website, crunched the numbers and used more than a dozen key metrics to determine the safest – and most dangerous states for teen drivers. Their analysis found New York is the safest state in the nation for teens learning to drive. Other states have it worse. Much worse. South Dakota, for example, has the highest number of teen DUIs in the nation and there are few laws in place that promote Graduated Driver Licensing (GDL), a program many states use to educate teens. The data used to generate the rankings were collected from the U.S. Census Bureau, the National Highway Traffic Safety Administration, the FBI, and several other statistical resources. The authors of the study hope their findings can improve driver safety in every state, especially those that scored low. If you’ve been injured by a teen driver, Cellino & Barnes has the experience to help you and your family obtain the best result possible. Recognized by Best Lawyers, our Long Island car accident attorneys have helped crash victims recover more than $1.5 billion. Contact our attorneys today for free consultation. NEW YORK – There has always been risks associated with going under the knife. There are more than 75 organs in the human body and even the slightest change can cause a vital system to malfunction or it can cause severe pain. Doctors often can’t predict how a patient’s body will react following surgeries. The body’s natural inflammatory response can be intensified and sometimes lead to complications. Other times, critical errors in the operating rooms can cause life-threatening reactions in patients. Some of the effects of a botched surgery – the pain, the discomfort – may never go away. A Manhattan medical malpractice lawyer at Cellino & Barnes says the problem is more prevalent than ever and many medical centers are doing little to address it. Every year, between 200,000 and 400,000 patients suffer some type of preventable harm that leads to death. It is estimated that millions more suffer life-changing but preventable injuries while visiting the doctor or the surgeon. 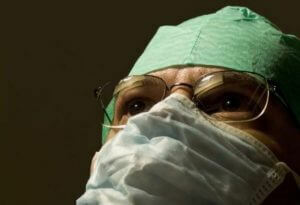 According to the journal of Experimental Gerontology, 40-percent of patients suffer depression following an operation. Poorly performed surgeries have also been linked to other psychological, cognitive and overall health complications. “Surgeons typically discuss these complications with their patients before the operation but the patient rarely hears that there’s been a mistake until it’s too late,” Cellino said. In the case of a Colorado girl, doctors didn’t know that she acquired an infection because it was masked for hours by drugs. A Dallas man complaining of back pain was given painkillers for six months following a surgery. The painkillers weren’t helping and doctors discovered bone fragments were left of the nerves. The surgeon who administered the operation was later found to be using drugs and drinking on the job. Making matters worse, the hospital suspected it but administrators did little to address the problem because they had invested more than a half-million dollars into bringing him to their medical center. Manhattan medical malpractice lawyers say patients should seek a second opinion if they’re feeling unexpected pain or suffering in any way. If you or your loved one suspect medical malpractice could be behind a painful recovery, contact the attorneys at Cellino & Barnes today for a free consultation. NEW YORK – It’s happening at a turtle-paced speed but America’s roads are changing one car at a time. Already, thousands of vehicles have some type of automation like automatic braking or the popular ‘drive assist’ features linked to a growing number of brands. However, fully-automated vehicles – those self-driving ones I’m sure you’ve heard of – are years away from being mass-produced and sold to American drivers. And there’s reason for caution. According to survey data from the Massachusetts Institute of Technology, drivers aren’t ready to put their trust in fully autonomous vehicles. In fact, most drivers are more comfortable with a driver behind the wheel. A Long Island car accident attorney at Cellino & Barnes says some concerns are warranted and it could take decades for automakers to convince consumers that self-driving vehicles have a place on the roads and highways. The MIT survey found participants were at least ‘open’ to some level of automated technology. Things like speed control, drive-assist, and safety tech that could reduce the severity of a crash were welcomed features. But when it comes to taking over the wheel, forget about it. Most of those surveyed said they were happy with the technology currently available in most affordable cars – and nearly 30-percent of those polled said they were ‘very happy’ with the current state of car tech. In some cases, there’s too much tech. Up to 15-percent of drivers said they “like but don’t use” the technology currently available in their cars. The National Safety Council said 2015 saw the largest rise in traffic deaths in the past 50 years. Drivers now have more disposable income, which put more cars on the roads and distracted drivers are behind the wheel in a record number of cars. Both factors attributed to the rise in accidents, the NSC said. One of the main goals of vehicle automation is to reduce the number of distracted drivers by taking the wheel away from human hands. Although there are good intentions, safety advocates say it could backfire in the coming years as vehicles move closer and closer to becoming self-driving machines. Researchers at MIT suggested that drivers be reeducated to use new vehicle technology as it’s rolled-out. Currently, many drivers are forced to learn about new features by reading the vehicle manual. Their findings echoed the results of other studies too. Conducted by J.D. Power and Associates and the University of Michigan Transportation Research Institute, drivers continue to voice their concerns about the future of the American car. For over 50 years, the Long Island car accident lawyers at Cellino & Barnes have helped injured drivers recover from crashes caused by negligent drivers. For more information on the law firm and for office locations, find Cellino & Barnes on LinkedIn. ROCHESTER, N.Y. – The sun is shining and it’s a great time to get outside. This time of year, the trampoline is a popular place for kids to spend time and lots of energy but it can also be a dangerous place. Doctors and safety advocates are now warning parents of the dangers trampolines pose, if used incorrectly. According to one recent study in Ireland, 40-percent of children who suffered a trampoline injury needed surgery. A Rochester personal injury lawyer at Cellino & Barnes says when injuries do occur in back yards, bounce houses or at trampoline parks, they’re often very serious. 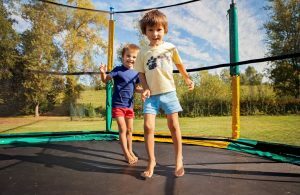 According to the Irish study conducted this year, 35-percent of trampoline-related injuries were directly related to the presence of others on the bouncing structure. In nearly half of the cases, there was no adult supervision. Safety advocates are growing increasingly concerned over the boom of indoor trampoline parks across America. According to recent estimates, there are more than 350 parks in North America; with hundreds of new ones opening every year. In many cases, children have been seriously injured at these parks and safety can sometimes be neglected. In 2013, a Texas teen fell through a torn trampoline, fracturing his head. A jury awarded his family nearly $11.5 million earlier this year. As huge supporters of Central and Western New York communities, Cellino & Barnes hopes to make our neighborhoods safe for everyone. If your family member has been injured by someone else’s negligence, contact one of our attorneys today for a free consultation. BUFFALO, N.Y. – Warm summer weather is great for riding but it also poses its problems for motorcyclists. Since more riders are hitting the pavement, the road is getting more dangerous and thousands of motorcyclists could get seriously injured over the next three months alone. The Governors Highway Safety Association released preliminary data this month and found that more than 5,000 people were killed on motorcycles in 2015. That’s a 10 percent increase from the previous year. It’s also a ‘conservative estimate,’ so the death toll is likely even higher. 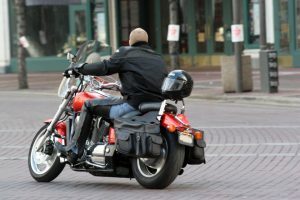 Barnes, a Buffalo motorcycle accident attorney at Cellino & Barnes said the new report should be concerning for both motorcyclists and drivers alike. 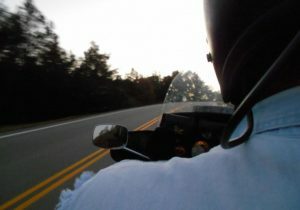 According to the GHSA report, 2015 had the conditions of a ‘perfect storm.’ Between near flawless summer weather and a warm fall, riders enjoyed a significantly longer motorcycle season. Adding to the risk, the number of two-wheeled registrations doubled in the last decade; going from nearly 4-million bikes in 1997 to almost 8-million choppers in 2008. “Per mile driven, fatality rates for motorcycles were 26 times that of passenger vehicle occupants,” the study’s authors wrote. Last year was certainly a record year when it came to crashes involving motorcycles. More than 30 states experienced increases in motorcyclist fatalities despite several safety improvements to infrastructure and technology. Many cars for example are now equipped with high-tech sensors that alert drivers to vehicles in blind spots and sometimes, these cars will automatically brake for the driver in emergency situations. Despite these safety improvements, among others, cars and motorcycles collided at a record pace. The GHSA said cars are not completely to blame, however. In many cases, the onus is on state lawmakers to improve safety for everyone on the road, including motorcyclists. Currently, only 19 states and the District of Columbia require all riders to wear helmets. Helmets are not required by experienced riders in a staggering 28 states and three states have no helmet laws whatsoever. The heavy use of smart phones in the car has also had impact on riders. It’s now estimated that distracted driving is a factor in most crashes involving a four-wheeled vehicle. If you’ve been injured while riding a bike, the Buffalo motorcycle accident lawyers at Cellino & Barnes have helped accident victims and their families recover the best results possible. Click here to contact an attorney today. Share up-to-date news and safety information on motorcycles by liking Cellino & Barnes on Facebook.